Admittedly, most honey lovers don’t need anyone to tell them how much is enough. 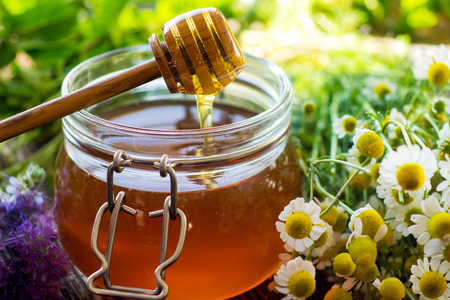 While some may take their honey with some cheese, mix it into their tea, use it as a sugar substitute for baking, or eat it straight from the jar, especially in the case of raw Manuka honey. However, someone took this idea even further than most people would agree is enjoyable by eating honey by the pound—three to be exact. Matt Stonie, a competitive eater, presented this eating challenge on his YouTube page in recent weeks, and he performed this feat in roughly four minutes. It’s safe to say for all readers out there that this should not be attempted—your stomachs will thank you immensely. This was not Stonie’s first rodeo as a competitive eater. He actually placed third during “Nathan’s Hot Dog Eating Contest,” finishing 48 dogs off in ten minutes while contest winner Joey Chestnut consumed 72 hot dogs in the same span of time. This type of endeavor may seem a bit more natural compared to a honey eating challenge—or at least easier to rationalize in terms of what constitutes a meal. Another past eating challenge for Stonie this year includes consuming 255 Peeps, the sugary marshmallow birds popular around Easter, in under five minutes at the World Peeps Eating Championship. According to Stonie, who doesn’t even weigh 150 pounds soaking wet, three pounds of honey consists of 4,148 calories, and it isn’t much like eating a barrel of hot dogs. Honey, while perfectly edible even in larger quantities, has a viscous texture to it, creating serious barriers when forcing pounds of it down your throat, which Stonie ultimately had to do to get the honey down. This dare artist literally held a honey container over his head and poured it down his gullet—the way a marathoner would with water after 26 miles. Stonie even turned the bottles of honey upside down to ensure he swallowed as much of the gooey substance as was possible. Once Stonie completed this “challenge,” he stated, “It wasn’t that hard. It’s just weird,” with his friend stating the viscosity of honey would make it not unlike swallowing a sea slug. Thankfully, Stonie’s video showcasing his honey endeavor came with a warning, which, considering this was a YouTube challenge, is the best anyone could have hoped for: “Wouldn’t recommend trying this challenge at home. Nothing bad happened—just felt kind of sick the rest of the day. FYI.” This is likely what people can expect when their stomach is forced to hold more than it can carry and is bursting at the seams. Hopefully, most non-YouTube challenging individuals can find better, less painful ways to enjoy honey and not indulge in honey consumption that would either turn them off it forever or (worse) cause them physical harm.